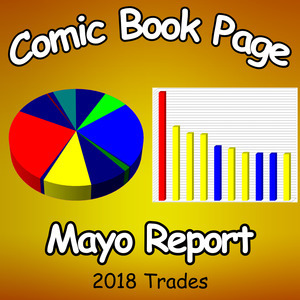 John and TJ discuss the sales estimates for the top selling graphic novels and collected editions for 2018 and the overall sales trends for the year. Email us at MayoReport@ComicBookPage.com with any questions or comment you have on the episode or post on our forum. This entry was posted in Comic Book Page by John. Bookmark the permalink.